Summer Solstice Celebration with Joa Keur and Friends! The Summer Solstice is a festival of the inner fire, the power that provides abundance and fulfillment from the seeds we have planted. The power that brings things to fulfillment and expands and brightens our lives. The warmth of the sun and the long hot days coming remind us of how good it is to find a balance between intense activity and the quiet times to restore and recharge our bodies. 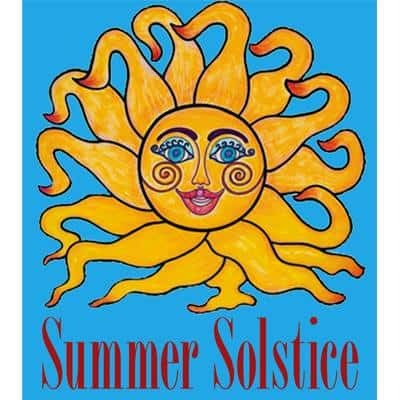 Join us for a Summer Solstice Celebration led by Joa Keur. The celebration will be a mix of intention setting, sound healing, flowing yoga with slow restorative postures, and a long healing savasana accompanied by live music. Perfect for all levels. Arif Jinha – sitar & harmonium. Join us on this journey of sound healing. This is one trip where you won’t mind losing your baggage! Cost: $20.00 per person. Light snacks and refreshments served outside in the PranaShanti Community garden.